Source Citation MS Ch K 1.40, vol. 2, p. 349, Rare Books & Manuscripts, Boston Public Library. Boston, MA. The Salem Witchcraft Papers (1977) Vol. 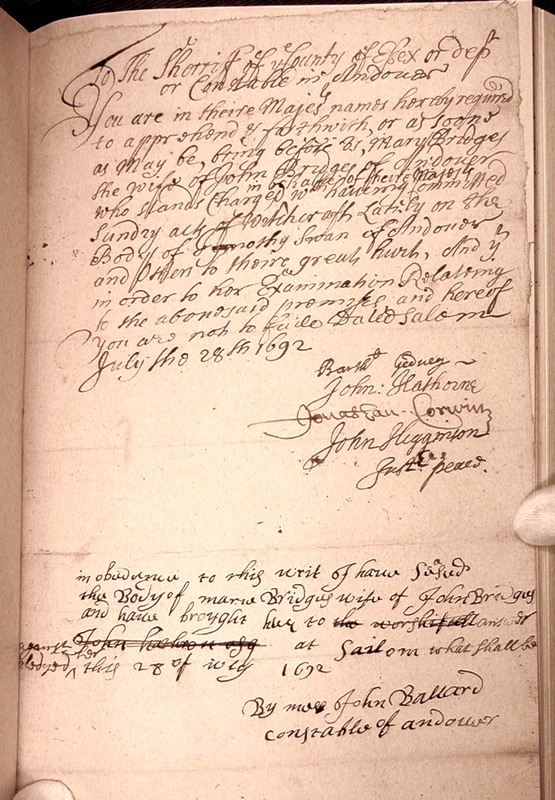 1, p. 131 : Warrant for Arrest of Mary Bridges, Sr.